Following on from my essential lay betting advice email on Friday, there has been a LOT of interest in SBC’s very own FREE laying tipster – ‘The Accountant‘ due to the profits being racked up from his easy-to-follow betting exchange tips. The Accountant’s laying tips have made a profit of £2,248.94 since August 2017 over the course of almost 850 place lays. Each of which has been supplied free of charge to Smart Betting Club members and all results settled at Betfair SP minus 5% commission. As you can imagine, demand is proving high for his expertise, especially given how easy it is to follow his profitable method at Betfair, or indeed on any of the other exchanges. Which is why I have negotiated a deal with The Accountant whereby he has agreed to provide all of his advice for free until at least the end of May 2018. All you need to access these free tips is a Smart Betting Club membership with full details on how to follow his advice via email supplied to all within the SBC service. This is a really good deal, especially when you consider he has already been providing his tips for free via email to SBC members since August 2017. Beyond May 2018, there is every likelihood that he will look to charge a fee for his advice. Although he was at pains to make clear that anyone following him prior to becoming a paid service would be given priority to join what he plans to be a very exclusive and limited number service. For those of you keen to know more on the profits he has generated – here is the lowdown on what has been achieved thus far. The first staking plan is to risk a fixed £100 sum on each lay regardless of price. So if laying a horse at 2/1, you would stake £50 for a total max loss of £100 (£50 X 2/1). If it were 4/1, you would risk £25 and so on. This fixed approach has generated a profit of £4,326.30 from £80400 staked. The second (and our recommended method) is to risk 3% of your bank as the total liability on each lay. So if your betting bank is £1000, you would risk £30 (3%) on the max loss from the lay. You would then recalcuate what 3% of your bank is each day. The Accountant is one of several tipsters who provide their advice free of charge to Smart Betting Club members. These free tipsters are often ideal to help get you started or to build up your betting profits without breaking the bank. Other free tipsters include the long-term profitable racing experts, The Rooster and Racing UK’s Tipstar competition winner, Chris Baker. Read more about all 3 free SBC tipsters. Tips from The Accountant, Chris & The Rooster are supplied both via email and also through access to the SBC members-only tipping forum. Full details on how to access them are provided to all Smart Betting Club members. So if you want to get started following these ready-made tipping experts for free – why not subscribe to SBC today and get going immediately. 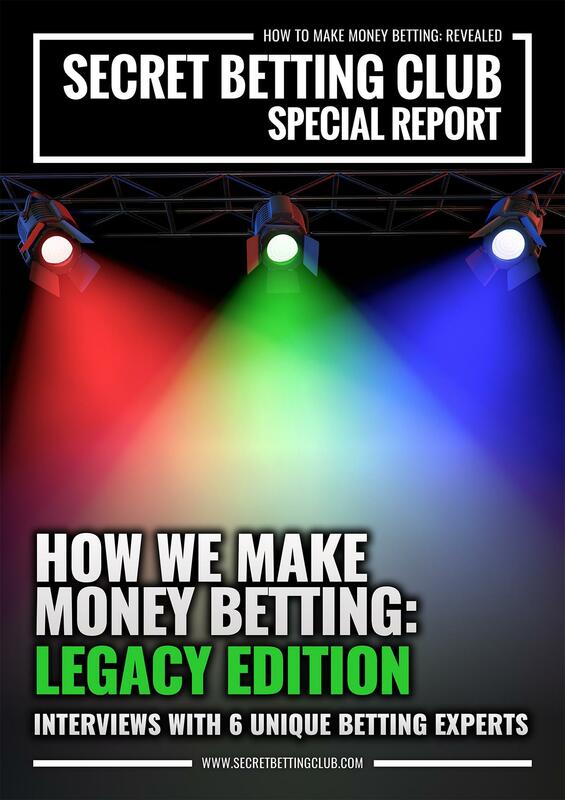 Ever since the arrival of Betfair back in 1999, punters like you and me have finally been able to act like bookmakers and try our hand at making money from laying bets. However, the reality is that laying can be a very difficult game indeed (as many a wound-up bookie will attest) and it’s crucial you fully understand how laying works prior to getting heavily involved. And with a rise in the number of people and tipsters I see laying these days, I wanted to pen a few key pointers to help shed some light on the subject. Because whilst laying can offer a profitable angle when done right, it can also be a nightmare if done wrong or without an understanding of the risks involved. Here then are a few essential points from me to consider when laying…. Most people wouldn’t back too many short bets at odds like 1/3, yet that is exactly what you are doing if laying a bet at 3/1. Because when you place a lay at 3/1, you are risking 3 units to win 1. It’s the same as if you were backing a bet at 1/3 as you would need to risk 3 units to win 1. Many new layers are not aware of this fact, especially if laying at larger odds, yet it’s a crucial point. Would you back a 1/10 shot or 1/20 shot as readily as you might place a lay at 10/1 or 20/1? When laying you must always be mindful of the worst-case scenarios that can occur – even if you are hitting a high strike-rate of successful lays. After all, losing lays can and will happen to even the best punters out there. To give a real-life example – one profitable football laying tipster we work with here at SBC has an 83% strike-rate laying teams up to a max price of 9/1. The average lay price comes in at a shade over 4/1, yet even with this high strike-rate and low average odds you still need to be prepared for worst case scenarios. If you don’t have a betting bank setup to expect a loss of AT LEAST 28 units then you run the risk of going broke at some point or being in for a nasty surprise. Ideally your betting bank should be a lot bigger than this, especially if your losers are at bigger prices than 4/1. What if you get a series of losers at 9/1? It’s unlikely but then the whole point is that these things do happen (FYI – the recommendation is for a betting bank between 150 and 200 units for this service). Now you might say to yourself – ‘Oh my laying strategy is fool-proof, I will not get caught out’ – yet you will be wrong to do so. For example when football betting, you are only one red-card, bad team performance or mad refereeing decision away from an unlikely result. How many of you had West Brom to beat Man United or Roma to knock out Barcelona recently? The truth is the best punters don’t have some silver-bullet, never lose betting strategy. Far from it. They lose just like all of us do. They simply know how to handle losing in the context of a betting bank and the type of strategy they are utilising. One option for you to reduce the risk when laying is to consider using a fixed loss staking strategy. So rather than place a £100 lay on a bet regardless of the odds – instead you place a lay to lose a maximum amount of £100 should the bet go south. Now the average lay price stands at just under 5.0 so it’s not often you lay at large prices like 15.0 but to reduce the risk of a big loss, he suggests you cap losses at a max 3% of your bank. At the start of the day you simply work out what 3% of your betting bank looks like. So, if starting with a £1000 bank, this would be £30. Your winnings are capped with this staking plan but equally and more importantly, your losses are too. It’s also very easy to place bets like this at Betfair SP – you simply place a lay on the horse and set your liability (max loss). You can also set the maximum price you will take – the rest will be calculated for you. The horse racing tipster in question has used this 3% risk method to great success since August last year, growing his bank from £1000 to £3432.99 through it. For more on his method and how you can currently follow free with SBC, read about The Accountant Laying System on this free tips page. If laying at Betfair SP, then naturally you are restricted to using Betfair, yet for those of you placing lays in other markets, I want to encourage you to look at alternative firms. Just like people who chop and change credit cards are ‘rate-tarts’, I want to encourage you to be a bookmaker-tart (or indeed exchange-tart)! Smarkets, Matchbook & Betdaq offer low commission alternatives to Betfair and the difference between Betfair’s 5% base-line rate and the 2% with Smarkets and Betdaq can be vast. Take the aforementioned football laying tipster available to SBC members, who’s results we record at Betfair’s 5% commission rates as standard. During 2018 from 188 lays, it has made a 55.8 point profit at 8.4% ROI to this metric. If you had placed each bet with Smarkets or Betdaq and enjoyed their 2% commission rates, this profit would have risen to 60.27 points profit at 9.0% ROI. An extra 4.47 points profit in your pocket, simply for using a different website to place your lays. Forget brand or company loyalty when it comes to bookies – it can hurt your bottom-line. Simply use the best value exchange on offer. Be an exchange-tart. I hope a few of the points I have raised in today’s article have provided some food for thought for those of you interested or involved with laying on a regular basis. When done right then laying can be a fantastic angle, but when done badly, it can be very costly indeed. Don’t get caught out! If you are after further advice and expertise with your betting, you might like to consider a Smart Betting Club membership. It comes with a 90-day-money-back-guarantee as standard and is at significantly reduced prices for 2018. 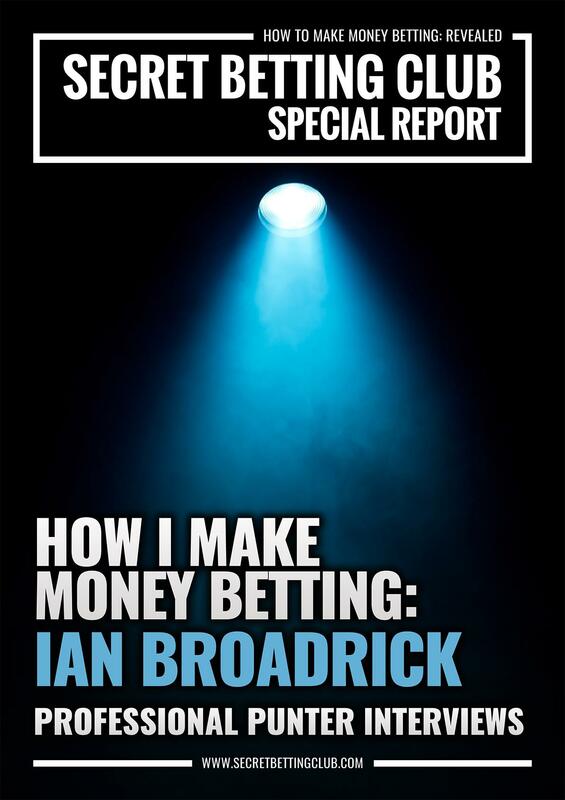 The Latest SBC Magazine (Issue 104) is out now and features reviews of 2 new profitable, betting exchange-friendly tipsters. Discover this unique tennis rating system with a clear edge in both the Men’s (ATP) and Women’s (WTA) tennis tournaments. Hitting a 43% strike-rate and with 5 years of profits behind it – this service is suitable for exchange-only punters and is run by a very well respected professional (he writes regularly for both Betfair & Pinnacle). PLUS you can SAVE £45 on a 3-month subscription as an SBC Member. 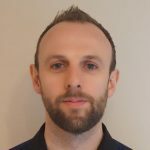 Blowing aside the myth you can’t make a profit backing favourites in horse racing, this expert has made 140% betting bank growth over 1600 bets at the front-end of the betting market. Also hitting a high 43% strike-rate, its another tipster you can follow with ease on the betting exchanges. PLUS you can Save 25% on the cost of subscription as an SBC Member. 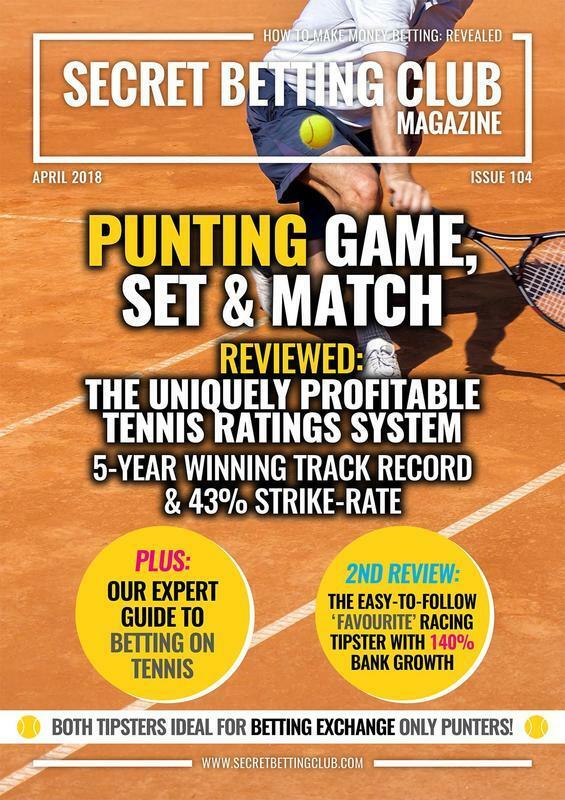 You can access your own copy of SBC 104 and our entire back catalogue of magazines the instant you join the Smart Betting Club. We offer the 90 day money back guarantee as we are 100% confident that we can help you and your betting. This is based on our 12 years experience helping countless punters like you transform their betting.